XXXV:24 Verily We have sent thee with truth, as a bearer of glad tidings, and as a warner; and there never was a people, without a warner having lived among them in the past. XXXV: 25 And if they reject thee, so did their predecessors, to whom came their messengers with Clear Signs, Scriptures and the illuminating Book. While verse 25 might refer to any of the many people who had prophets, Clear Signs, and Scriptures, it is interesting that this verse says “Scriptures and the illuminating Book.” Generally speaking, the Books given to prophets are written as scriptures. 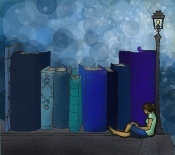 In this case there was a group in times past who wrote scriptures and had an illuminating Book. This could very well be a reference to the Nephites and the Book of Mormon written by them. We can see . . . that, not only did Nephi return to Jerusalem prior to its destruction to obtain the plates of brass which contained the holy scripture, but, also, as a prophet, he wrote the things that God commanded him to write which was scripture. Nephi commanded of the Lord transcribed the important portions of the plates of brass into his own book. This book, called the “Plates of Nephi,” was written on gold plates and was maintained by all of the prophets after Nephi. 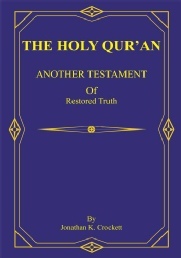 It is the same book which was hidden in the earth. It was later brought forth and given to Joseph Smith by the angel Moroni, who descended from heaven. Because the prophets of the Book of Mormon wrote upon gold plates, it was a book that would not be dimmed and a book that would retain its brightness. An illuminating book. 9 Yea, I say unto you, were it not for these things that these records do contain, which are on these plates, Ammon and his brethren could not have convinced so many thousands of the Lamanites of the incorrect tradition of their fathers; yea, these records and their words brought them unto repentance; that is, they brought them to the knowledge of the Lord their God, and to rejoice in Jesus Christ their Redeemer. 10 And who knoweth but what they will be the means of bringing many thousands of them, yea, and also many thousands of our stiffnecked brethren, the Nephites, who are now hardening their hearts in sin and iniquities, to the knowledge of their Redeemer? 13 O remember, remember, my son Helaman, how strict are the commandments of God. And he said: If ye will keep my commandments ye shall prosper in the land -- but if ye keep not his commandments ye shall be cut off from his presence. 16 But if ye keep the commandments of God, and do with these things which are sacred according to that which the Lord doth command you, (for you must appeal unto the Lord for all things whatsoever ye must do with them) behold, no power of earth or hell can take them from you, for God is powerful to the fulfilling of all his words. 17 For he will fulfil all his promises which he shall make unto you, for he has fulfilled his promises which he has made unto our fathers. 27 And now, my son, I command you that ye retain all their oaths, and their covenants, and their agreements in their secret abominations; yea, and all their signs and their wonders ye shall keep from this people, that they know them not, lest peradventure they should fall into darkness also and be destroyed. 32 And now, my son, remember the words which I have spoken unto you; trust not those secret plans unto this people, but teach them an everlasting hatred against sin and iniquity. 33 Preach unto them repentance, and faith on the Lord Jesus Christ; teach them to humble themselves and to be meek and lowly in heart; teach them to withstand every temptation of the devil, with their faith on the Lord Jesus Christ. 34 Teach them to never be weary of good works, but to be meek and lowly in heart; for such shall find rest to their souls. 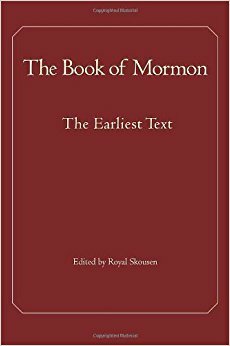 The Book of Mormon – The Earliest Text. Through his editing process in finding the earliest text of the Book of Mormon, Skousen discovered that the Book of Mormon is written in Early Modern English. This is no surprise to people who recognize it as the same language as the King James Bible. What is a surprise is that phraseology of the time period (1500-1700) not found in the King James Bible and no longer common in 19th Century America are well-represented in the Book of Mormon. 38 And now, my son, I have somewhat to say concerning the thing which our fathers call a ball, or director -- or our fathers called it Liahona, which is, being interpreted, a compass; and the Lord prepared it. 42 Therefore, they tarried in the wilderness, or did not travel a direct course, and were afflicted with hunger and thirst, because of their transgressions. 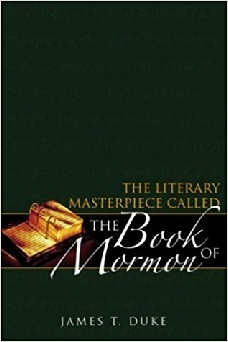 The Literary Masterpiece Called The Book of Mormon. Chapter 6 – Psalms, Allegories, Signs and Wonders, Types and Shadows. 47 And now, my son, see that ye take care of these sacred things, yea, see that ye look to God and live. Go unto this people and declare the word, and be sober. My son, farewell.